July 7th, 2015 | Around The U.S..
What state are American’s moving to the most? No, it’s not Texas, North Carolina or California, but rather Oregon. According to American Moving & Storage (AMSA) 2014 report, 63 percent of inbound shipments were headed to the Beaver State. So, why is everyone moving to Oregon? Here are a few highlights of the state which may be why Oregonians love to live there. 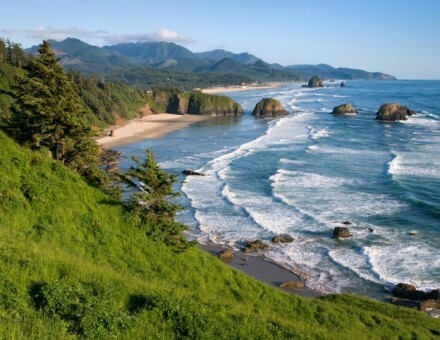 Mountains, Ocean, Forests, Deserts – Oregon has them all! Oregon offers plenty of natural beauty ranging from Pacific ocean coastlines to dense forests to the desert on the Eastern part of the state. Oregon even has the “7 wonders of Oregon,” which include the snow capped mountains of Mt. Hood, the 363 miles of coastline that ranges from sandy beaches to rugged cliffs and forestry in between. There is also the Columbia River, Painted Hills, Smith Rock, Wallwas and Crater Lake. With all the different types of scenery, Oregon has plenty of outdoor recreation, such as white water rafting, mountain biking, hiking and kayaking. Despite all the outdoor activities, keep in mind it does rain A LOT in Oregon, but when the weather is nice people in Oregon take advantage by spending it outside. If you’ve seen the show “Portlandia,” you know Portland is weird – in a good way. The progressive city is considered one of the nicest places to live in the U.S. If you are not into owning a car, Portland is a great city for public transportation options, which include commuter rails, buses, light rail, streetcar lines, and bike and pedestrian paths. 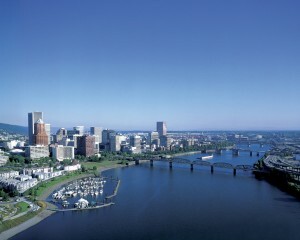 Portland is home to a rising culinary scene thanks to nationally-renowned chefs and the fresh home-grown Oregon food. If you want a quick bite, there are 400 food carts and mobile eateries located throughout the city. Wash your food down with a craft beer from one of the 58+ breweries located in the throughout the city. Portland isn’t just a great city for humans, but it is also a great place for your dog. Portland has been ranked one of the most dog-friendly cities in the country with 33 dog parks, plenty of dog friendly restaurants and even its own social network for dogs. If you like shopping, the no sales tax in Oregon will come in handy. Oregon is one of five states in the U.S. that doesn’t have sales tax (Delaware, New Hampshire, Alaska and Montana are the others). However, other taxes, such as property taxes, are higher than other states. Keep this in mind if you are looking to buy a home. Oregonians know what a great place the state is, so they plan on keeping it that way by being one of the greenest states in the United States. Oregon tops lists in recycling, energy-efficiency rates and producing renewable energy. With that said, Oregon has the lowest carbon footprint and Portland is the greenest city in the country. 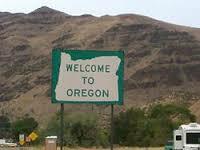 Do you want to follow the people moving to Oregon? We can help you get there. Bekins Van Lines has nine agents throughout the state. Do you live in Oregon? Tell us why you moved there and what you love about it by commenting below.